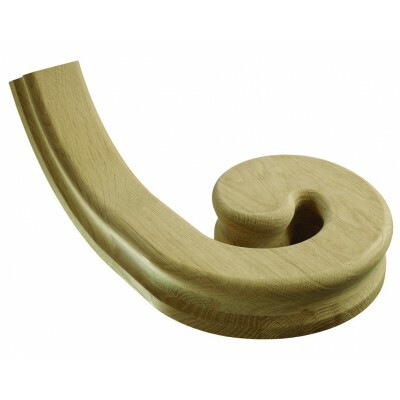 Trademark right hand volute manufactured from white oak. Suitable for continuous over-the-post handrail system. Fits 32mm and 41mm spindles. Use together with volute newels, balusters and a curtail step.